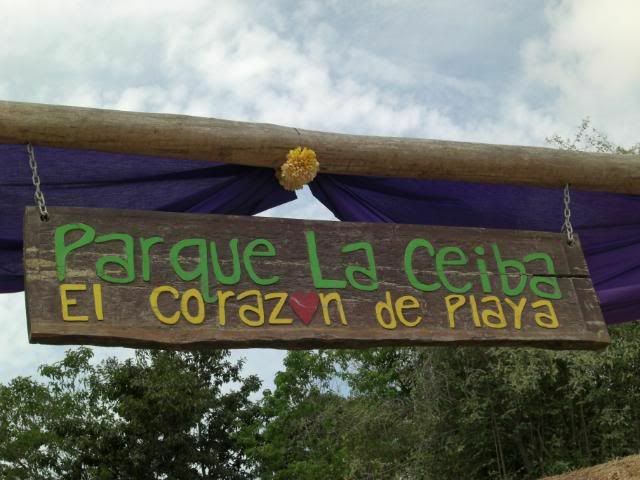 Aptly named for the Mayan tree of life, Parque La Ceiba is breathing new life into our community. Inaugurated officially in mid-March yet still a work in progress, Parque La Ceiba is a refreshing oasis in a city that seems bound and determined to cover every square foot of its municipality with luxury condominiums and shopping malls. 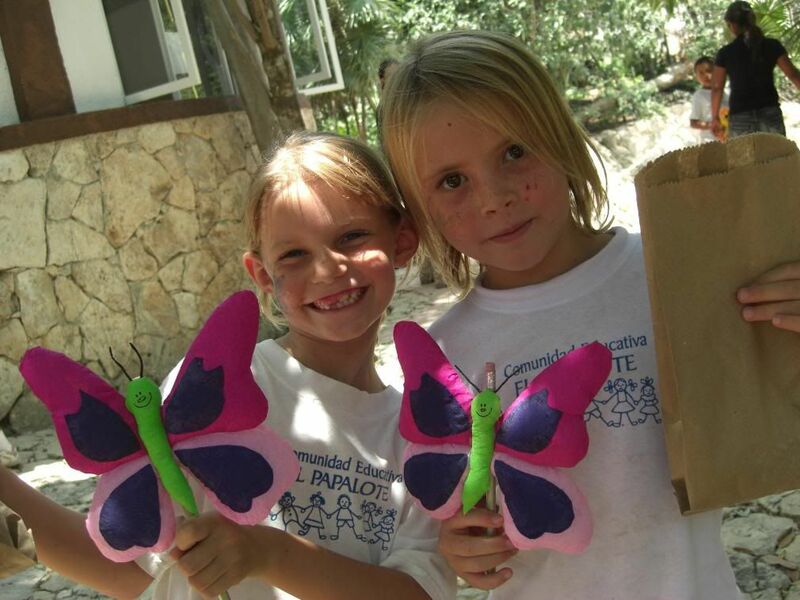 Our two week trek through Belize kept us from attending the grand opening, so I was very excited to hear that the children of El Papalote School would be treated to a day in the park in celebration of "Dia de los Ninos". 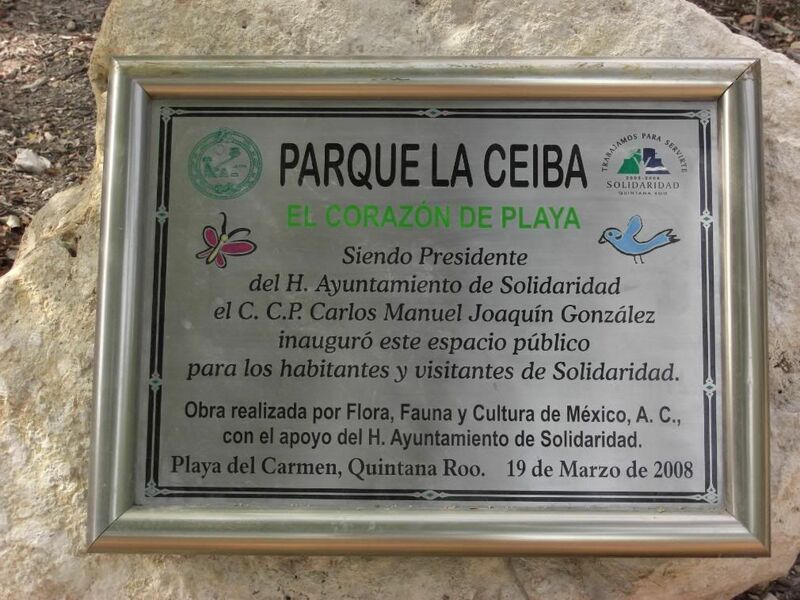 The park is located in the "ejido", on the west side of 307 and encompasses an entire city block. (see map at the bottom of the page) The area is completely fenced with only one point of entry, off of calle 1 sur, making it difficult for a child to leave the grounds unattended. 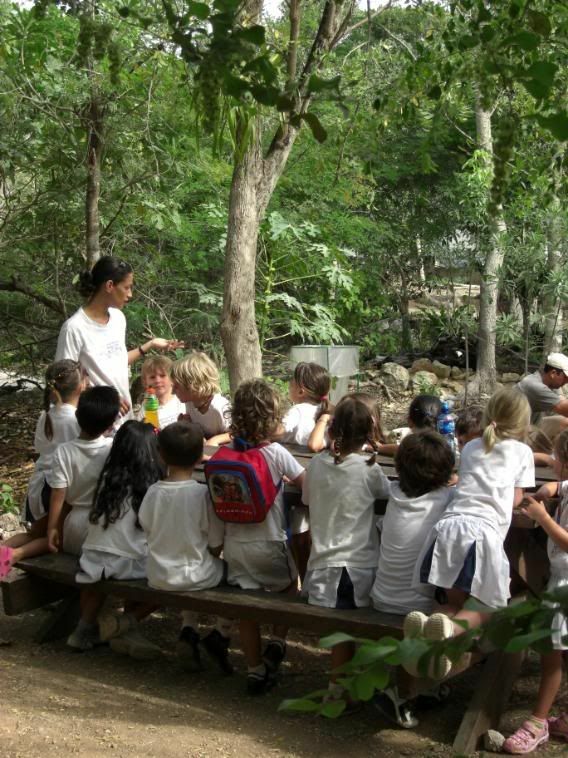 Inside, natural trails, ampitheatres, classrooms and creative play areas have been carved into the jungle. 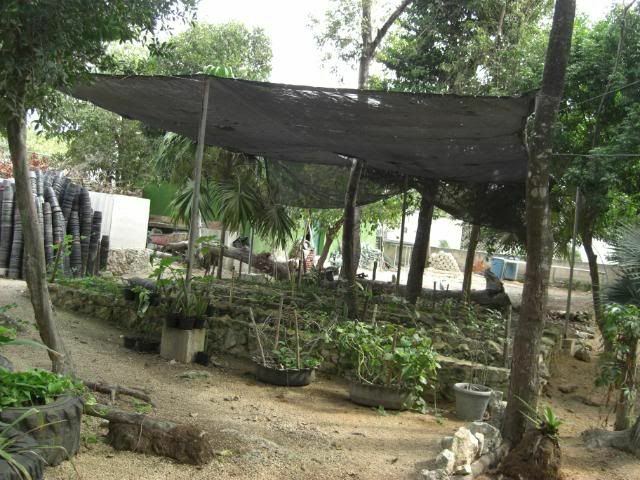 There are spacious clean bathroom facilities, a small restaurant, a recycling center and even a nursery onsite used to propagate the many species of indigenous plants covering the park. One of the various "salons" where classes and workshops are held throughout the week. 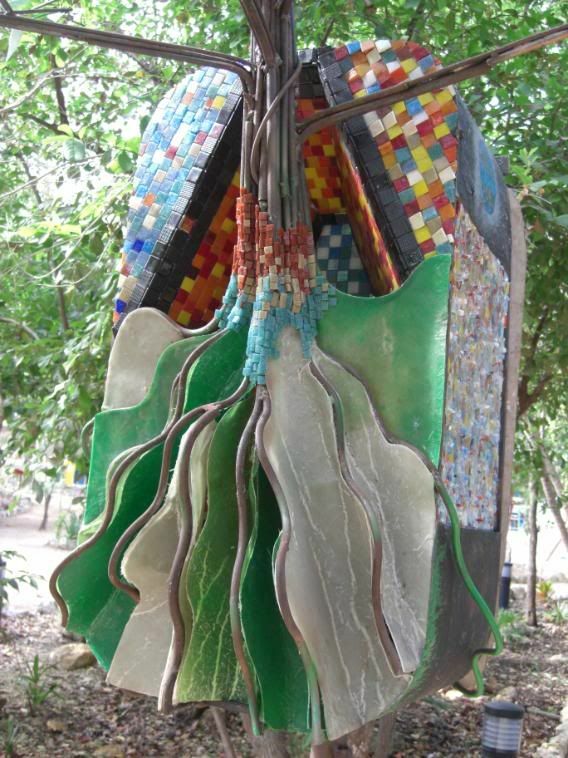 A stunning piece sculpted of colorful tile and glass was donated by a local artist to decorate the park. In the quiet shade of the trees. it's easy to forget that you are in the middle of the city. 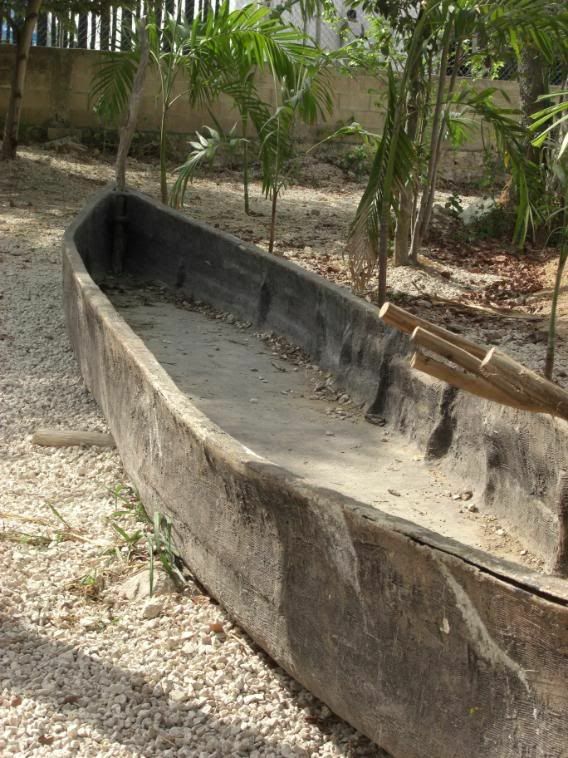 An old Mayan dugout canoe, perfect to spark young imaginations. 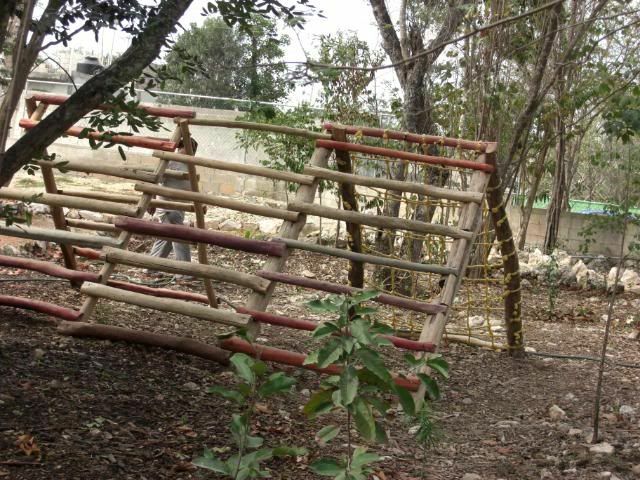 One of the many areas for children to climb, building strength and coordination. 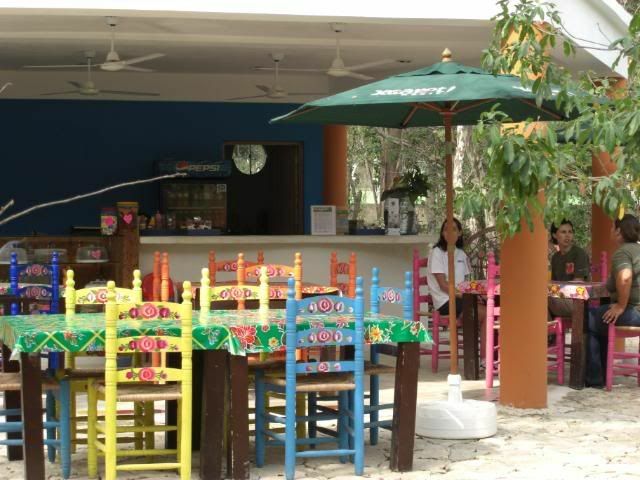 The open air restaurant and snack bar is a nice break from the heat. One of two open air ampitheatres. 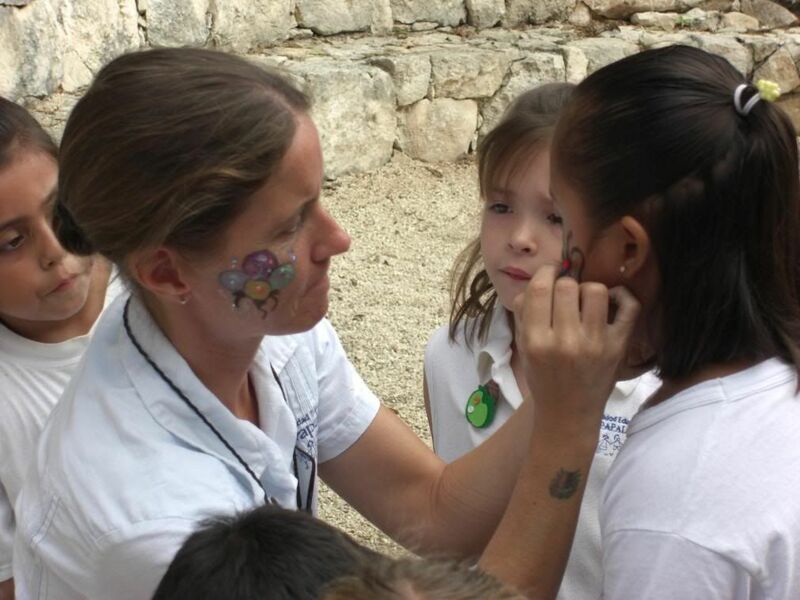 Multi-talented teachers and master face painters, Miss Kim and Miss Anna. 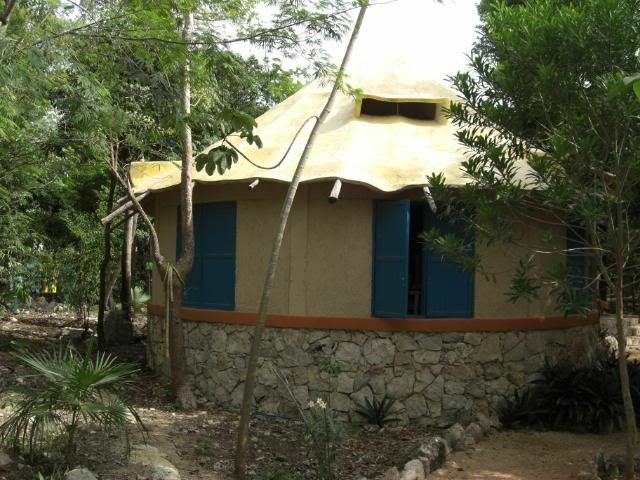 Dozens of activities and workshops are offered 7 days a week at La Ceiba. A full schedule is posted at the entrance to the park. 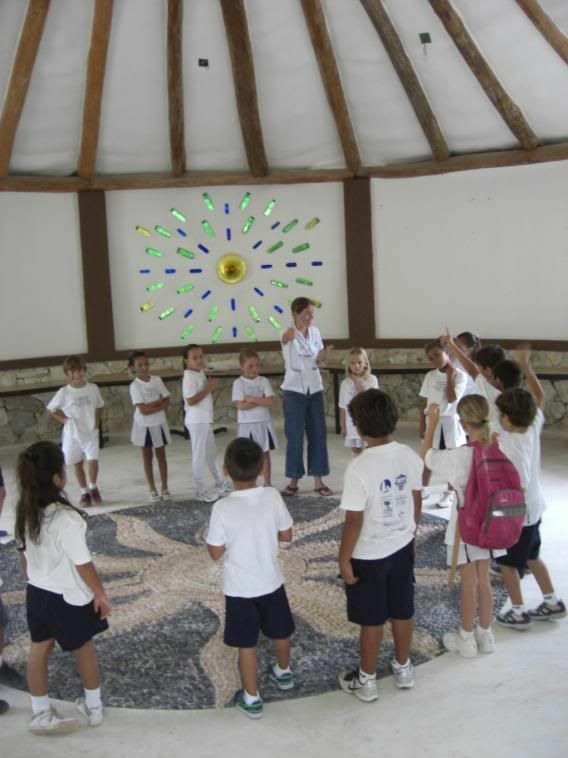 There are organized activities for children, teens and adults. Everything from belly dancing, sushi preparation and candle making workshops to poetry, dramatic arts and painting classes are offered. Something for everyone! 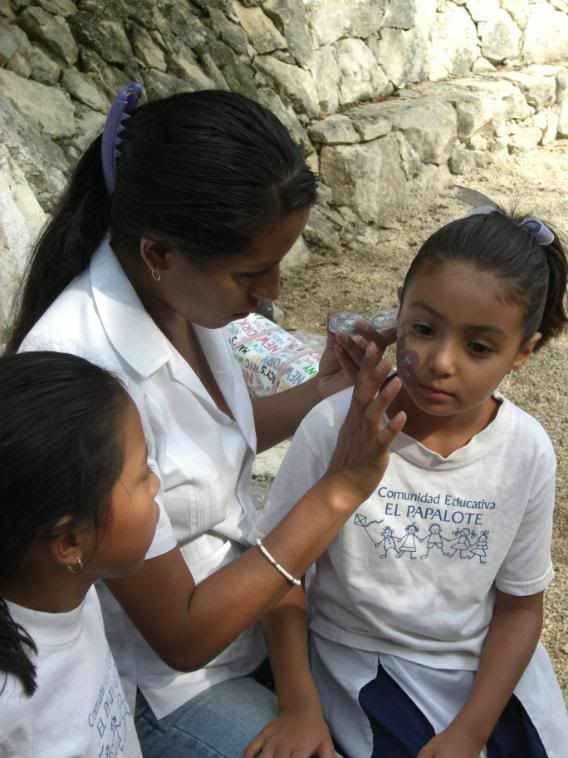 So, for the children of El Papalote School, it was a wonderful "Dia de los Ninos" spent in the new heart of Playa, Parque La Ceiba. For those of us who live here, this park is a wonderful enhancement to our quality of life. 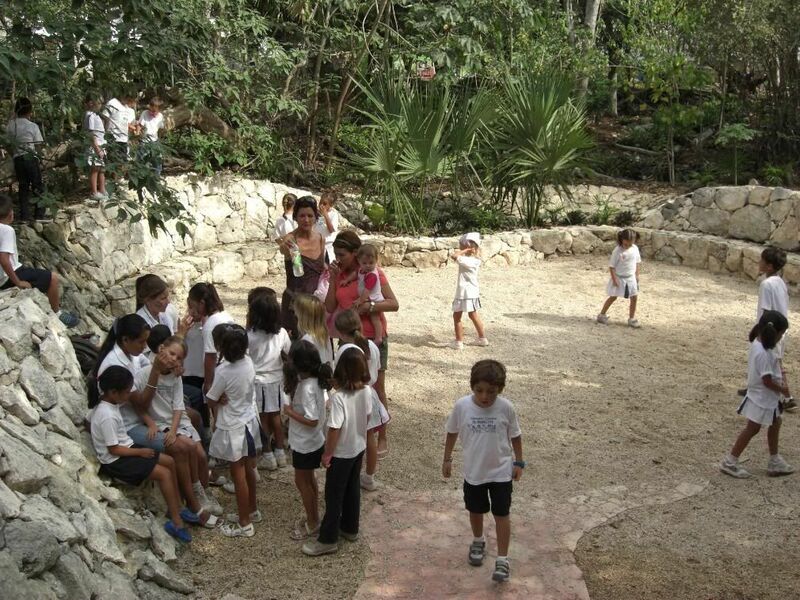 For families visiting Playa, a trip to the park would make a nice afternoon activity for kids who have had too much time in the hot sun or are a bit tired of the beach. Do try to schedule some family time in the new park and make note of the local businesses whose efforts and generous monetary donations supported the development and construction of this tranquil urban refuge. 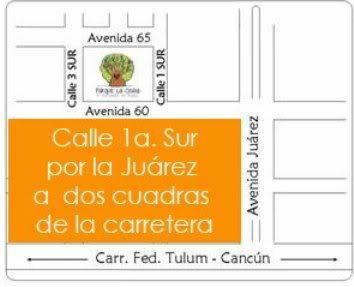 Parque La Ceiba is located at Avenida 60 and calle 1 south, just one block off of Juarez, two blocks west from the carratera 307. The park is open 7 days a week from 9am to 9pm. Admission to the park is free. 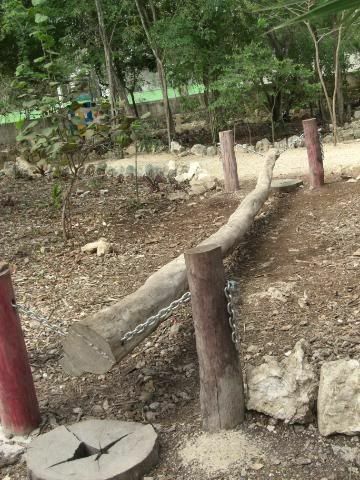 Really cool park! It must be so nice for those with kids, as there was NOTHING before this! 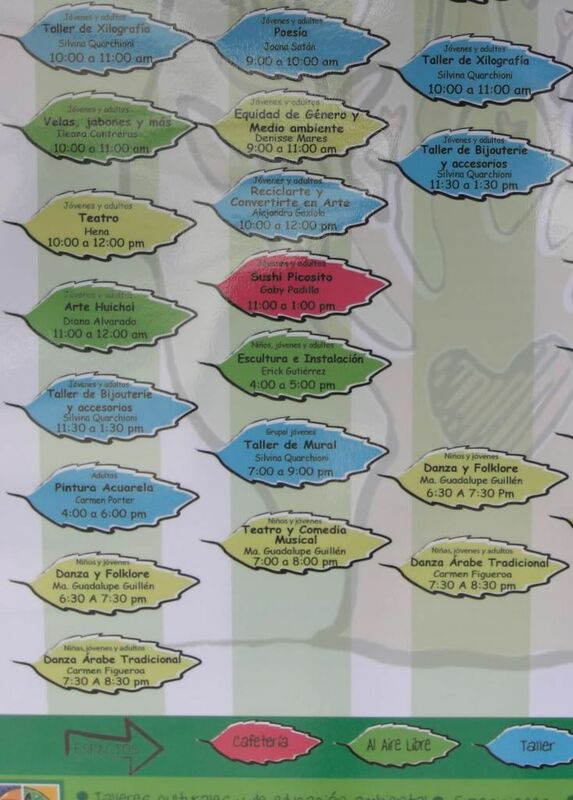 Tell me, the classes and workshops, are they free? How about an entrance fee? I'm curious b/c it would probably be difficult to afford for some of the poorer kids in the area. The park is great and admission is free. There must be a charge for the classes but I did not see prices posted. I think it would vary based on the class and the materials needed. More investigation needed! The metal sculpture "Cieba" is my good friends work!! I met the people that (or I should say amazing woman) that pulled this project together before the art auction- did I say amazing yet!! So good to know that there are people out there that recognize the need to have a community place and that can actually get it done!!! If anyone wants info about the artist/metal sculptor or the shop where this work was produced- give me a shout out!! 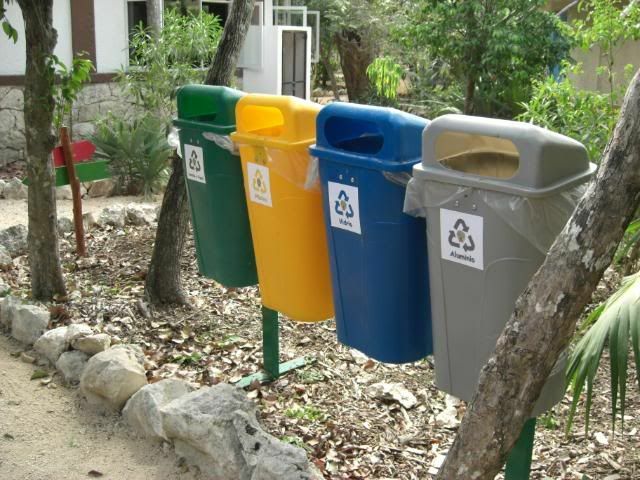 Flora, Fauna y Cultura AC invites the Playa del Carmen community to participate in the second Clean-up Day at Parque La Ceiba. The event will take place on Saturday June 30 beginning at 8 am.